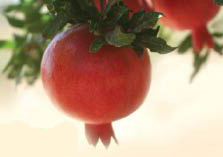 Pomeg-Tech wishes to thank the participants in Israel's First International Pomegranate Symposium and places at their disposal the PowerPoint displays we received from the speakers, along with selected photos. Pomeg-Tech's problem solving ability is based on its extensive experience in Israel and abroad. Pomeg-Tech successfully adapts the most advanced technologies to local conditions. Pomeg-Tech speaks the language of the growers and understands their needs. Eventually, "their success is our satisfaction! ".